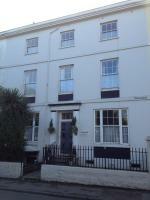 A welcoming Victorian villa, family-run Martins Guest House has free Wi-Fi and original period features. Waverley rail station is a short drive away. Each comfortable room has a TV and an inclusive breakfast is provided. Just a 5-minute walk across the river from Inverness centre's shops, restaurants and train station, the Armadale Guest House has comfortable, traditional rooms with free Wi-Fi and free parking. Located on the promenade near Douglas, adjacent to the main shopping area, only a few minutes walk from main Financial area, Sea Terminal, Victorian Gaiety Theatre and Villa Marina entertainment complex. Buses stop outside so sightseeing & travelling around the Isle of Man without a car is easy. 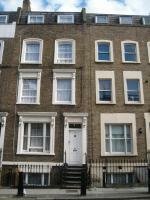 Two minute walk to cafes, pubs & restaurants. 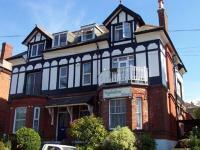 All rooms are ensuite, tea & coffee making facilities, hair dryer, TV. In the heart of Edinburgh's New Town, Castle View Guest House is less than 100 metres from Princes Street. It has lovely views of Edinburgh Castle and offers free Wi-Fi and hearty breakfasts. In Glasgow's West End, the Botanic Guest House is 5 minutes' walk from the Botanic Gardens and the Hunterian Museum. Rooms have en suite bathrooms, TVs and free Wi-Fi. Just one mile (1.6 km) from the Royal Mile, this private guest house offers free Wi-Fi, free private parking and good hot and continental breakfasts. You can easily reach Edinburgh city centre by bus or on foot. This comfortable hostel is a 15-minute walk from Kings Cross Station and the Eurostar at St Pancras. It offers free Wi-Fi and has multilingual staff at reception. 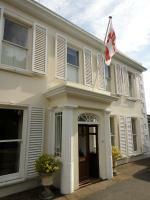 Feversham Lodge is an award-winning guest house in York. Ranked amongst the best bed and breakfasts in the city, and receiving consistently excellent reviews, Feversham Lodge is within walking distance of York Minster and other major attractions. In a parking-restricted area there is free on-site parking for all guests. Over two floors there are five en-suite bedrooms which have been designed individually. In the heart of Glasgow, just metres from the city's Charing Cross railway station, this guest house offers affordable accommodation with a cooked breakfast included in the price. Point de Vue is a unique, family-run guest house situated 100 metres from the main gate to Mdina, historic resort in Malta. The Guest House offers spectacular sea views from its restaurant, the Butcher's Grill. Free Wi-Fi is available in the lobby. 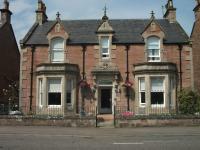 Mardale Guest House is in the quiet, residential Brunstsfield area, 1 mile (1.6 km) south-west of Edinburgh city centre. Walk through the Meadows to the historic Royal Mile. The Victorian terraced villa retains much of its original charm. Kings Arms Guest House offers peaceful budget accommodation, 3 miles from central London and 1 mile from Olympic Stadium Stratford. With free Wi-Fi, it is a 5-minute walk from Bow Road Underground Station and 90 metres from Bow Church DLR Station. Occupying a privileged seafront position on the world-famous Causeway Coast, Northern Ireland, this charming Victorian guesthouse, dating back to 1901, boasts panoramic views of the Atlantic Ocean. 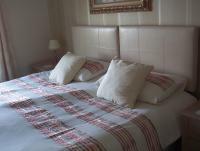 The Park Hotel is located in Ilford, Essex, England, 20 minutes by train from central London. There is a large park opposite, with Ilford town centre beyond. Gants Hill tube station (Zone 4) is 500 metres away from the hotel. London City airport is five miles away. Hotel Features. A detached red brick property facing a pretty park, the Park Hotel has a lounge with vending machines, and a back garden with park bench style seating. Overlooking parkland east of the city centre, the peaceful and comfortable Aynetree Guest House has direct bus access to the centre of Edinburgh. 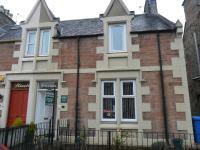 The Victorian house is well located for Arthur's Seat and the Palace of Holyrood. Within 10 minutes' walk of 4 Underground Stations, the Hammersmith Apollo and the Westfield Shopping Centre, this family run guest house offers comfortable bedrooms with private bathrooms and free Wi-Fi. Ard Aalin is a 4-star b&b. A beautiful detached bungalow set up high from the road in a rural coastal village. 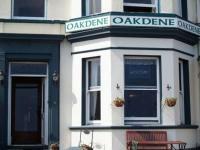 Located on the main Douglas to Ramsey coast road on east coast of the Isle of Man near Laxey and Lonan. Laxey is popular with tourists who visit its famous Laxey Wheel, beach, river & harbour, pubs, shops etc. Public transport/ electric trams & buses are just a 2 minute walk away. Free Wi-Fi. Free parking. Open all year. Property TypeVacation Hotel Business Hotel Bed And Breakfast Hotel Vacation/Seminar Hotel Business/Seminar HotelYear Built 1900Year Remodeled 2004RatingsStars 3 StarsAdditional Hotel DescriptionEstablished In 1987 The Hotel Has Grown Steadily To ItsPresent Capacity Of 48 Rooms. The Belsfield Corus Hotel is located in Bowness on Windermere, in the Lake District, England, 500 yards from Lake Windermere, two miles from the Beatrix Potter Exhibition, and six miles from Hill Top House. Hotel Features. This Victorian country house hotel is set in six acres of gardens overlooking Lake Windermere. Amenities include 24 hour room service, a heated indoor pool, and a sauna. Set just off the beach, Maria Giovanna is in Marsalforn Bay on the laidback island of Gozo. This family-run guest house offers elegantly decorated rooms with air conditioning and a balcony. This 18th-century Victorian guest house offers bed and breakfast accommodation in the leafy suburbs of Belfast. 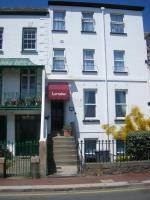 It is 25 minutes' walk from the city centre, and offers free Wi-Fi. This Victorian building is located in a highly desirable area of Merchiston, with Union Canal at the rear of the guest house. Edinburgh city centre and the castle are 1.5 miles away, and there is free Wi-Fi and limited free parking for 3 cars on.